Today I had the honor of getting on a call with Modern Yoga Co Founder John Salisbury. John and I have been friends for over a decade, and I wanted to kick start the Feed Your Yoga PodCast with his insight into the questions which you can find in this post. John and his wife Nicole own a very successful Yoga studio in Scottsdale, AZ. I must say I was inspired by John story! How he did not even want to teach, or even open a yoga studio, and yet he is one of the most sought after teachers in Scottsdale area now. His step dad, David Oliver (RIP) was a huge influence not only on John but Yoga in Phoenix, Arizona. 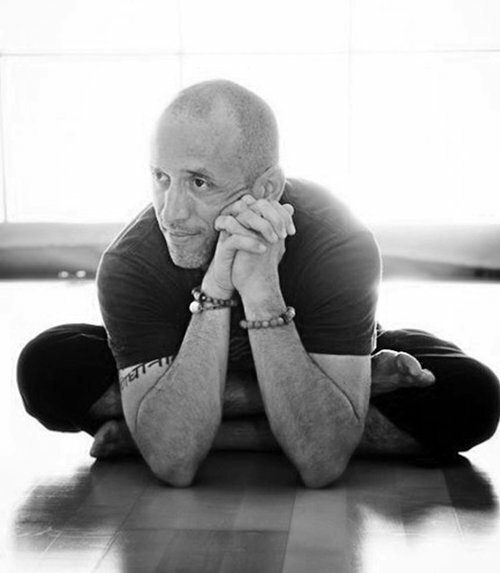 Dave first started practicing Ashtanga with Anthony 'Prem' Carlisi when John was 15. While John decided to take a different journey. At the age of 22, after reading 'Autobiography of a Yogi' John called his step dad to talk further about this new found discovery. Yoga! Together we dive into the touchy subject of attraction in the yoga room. You want to listen to John's non judgmental approach and insight from teachers like Dharma Mitra on the subject. With insights to new and seasoned teachers, both for advancing yoga today, as well as becoming a stronger teacher, this interview offers something for practitioners, enthusiasts and teachers. Be sure to visit Modern Yoga for classes if you are in the Scottsdale region. Like their Facebook page, and be sure to follow their Instagram page. In John's own words - Nicole (his wife and co founder) shares aspects that serve the community, animals, yogis, and more. Thank you for sharing this post with your friends!